This is going to be With this class you will learn about pressure points in healing, the use of crystals for energy and also the study of iridology. Reflexology is about the pressure points on the body. The hands, the feet and the spine all connect to the same organs. With illness healing can be done knowing the locations and how to apply pressure to each meridian. Iridology is the study of the iris of the eyes and how all lines also connect to the body. With the study of iridology and reflexology one learn to become a healer and finds it easier to apply energy work. From this is where all Shamans are born, as this is the source used in healing. Materials supplied. Rachel will bring you into the Guided meditation of Shamanism. How to hold space for yourself and other, go to the tree of life and learn how to do Soul Retrievals and more! Our guides speak to us every day, learn how to listen and take proper action. Cece Stevens is a Psychic Medium and Mystic Healer and the Founder of California Holistic Chamber Commerce and she has a Doctorate in Metaphysical Science. She is a Reiki Worker, Crystal Healer, Teacher, Dowser and Rain Maker. 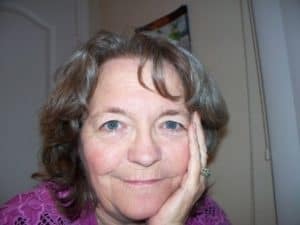 Cece has performed energy healings since the age of five and as a Professional Psychic-Medium Cece has established a vast untold amount of clients worldwide. She is known internationally as the curator of BOB the Skull of Wishes. Cece is available for workshops all over the United States. She has trained hundreds in their Psychic Abilities and Healing Arts. She has several books she has written on astrology, cooking, and children’s stories.